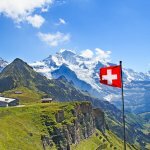 The article tells you what to keep in mind while deciding what to gift to your employees. It suggests 10 customisable gifts that are available online, which would make for perfect corporate gifts, which are also utility items and can be used in the office daily. Buying gifts for corporate events is not an easy task. There are multiple things to consider while buying something for corporate presentation. First of all, buy gifts according to the occasion. 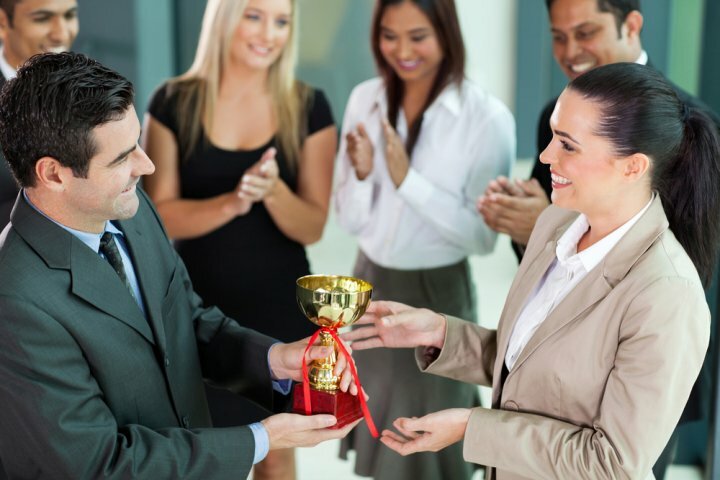 For presentation ceremonies to reward the employees, trophies and plaques would be the most appropriate gifts. To simplify the process, keep a few things in mind. Gifting at corporate events is a formality. But that doesn’t mean that the gifting process doesn’t require time and effort. You need the gift to be memorable and therefore we strongly suggest that you make the gift a memento or memorabilia of some kind. Small figurines, plaques, decorative plates, etc. make great gifts for corporate events. Customised gifts are a great option for corporate events. Customised wall plates, plaques, pens, boxes etc. are a great way to commemorate an occasion. Websites like Printland, Vistaprint and many more accept bulk orders for a variety of customised goods including stationery, jackets and t-shirts. One of the main objectives of corporate gifting is to create and establish the identity of that particular brand. A brand identity is a way to communicate with the world, differentiate yourself from the competition, and create a brand experience that encourages people to engage with you. Therefore it would be wise to put the brand logo or name on the merchandise or gift that is being handed out to the guests or attendees. Brand identity can be created in many ways. Gift bags with the company’s logo containing monogrammed pens, key chains, notepads, pen drives etc. are perfect gifts for creating brand identity. Gifting clothing with the company name or logo is also a good idea. Nowadays you can also get customised chocolate boxes for corporate events and functions. Go to Chococraft to check out the various chocolate boxes which are available for customisation. You can get the boxes customised and also get the logo on each individual chocolate as well. To create the brand identity you need to make sure that the company logo and name gets maximum visibility. Therefore getting it imprinted on merchandise, tees etc. is a good idea. While picking corporate gifts it’s not always possible to pick out gifts individually for the male and female attendees. The easiest thing to do therefore would be to pick gifts which are gender neutral. By gender-neutral gifts, we mean things which can be used or given to both genders. Picking gender-neutral gifts will require less work, ensuring that every guest or attendee leaves home happy. Gender neutral gifts can include plaques, wall plates, pens, pen drives, notepads, diaries, key rings. If t-shirts or jackets are being gifted then it would be better to make them unisex and free size, to avoid unnecessary work. We feel that everyone at work should be treated equally, irrespective of their gender. Therefore the decision to give gender-neutral gifts is obviously a more professional one. Gifts for corporate functions are bought or ordered in bulk. Therefore buying gender neutral gifts is a wise economical decision as well. When you buy in bulk, you get the products on discount thereby making a lot of savings. Everybody uses stationery at work and if you are working in a big corporate house, then your stationery should look professional. 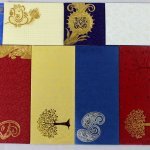 Stationery printed with the company’s name and logo would be a great choice for corporate gifting. Order your custom printed stationary online from Vistaprint. They will print your company’s customised letterhead for a very reasonable cost. 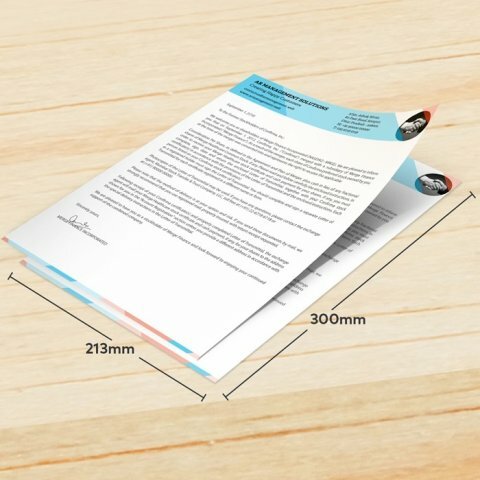 The stationary measures 213 x 300 mm, is printed in full colour on 100 GSM smooth finish matte paper which is acid-free for durability. You can check out the product specifications on the website, like the bleed size and the document trim size. Prices start at ₹650 for 100 pieces and go up to ₹35,000 for 10000 pieces. They will even design your logo for just ₹1. There are various templates available on the website that you can use or even upload your own template. T-shirts with the company’s logo is another great way to establish a brand identity. When you give out tees bearing the company logo, you are making sure of the fact that a lot of people will see them. Therefore polos and t-shirts with the brand logo is a great idea for corporate presentation. 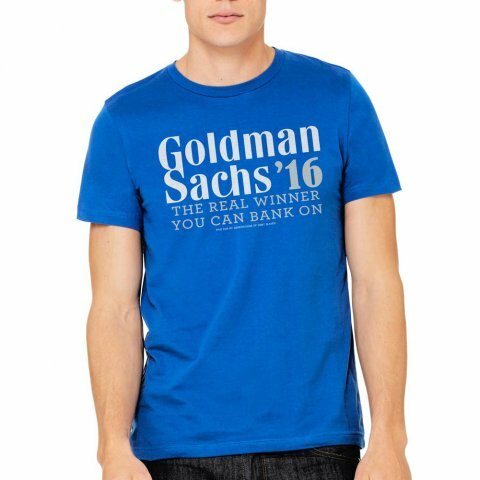 There are plenty of websites which let you place bulk orders for t-shirts. Printvenue has customisable t-shirts that you can order for your office. You can upload your name and company logo or choose from the logos that they have. These unisex t-shirts come in sizes M, L and XL and are only. The logo will be embroidered onto the t-shirt and any uploaded design should have a resolution of 300 dpi and only contain solid colours; gradients are not allowed. The tees are available in white, black, grey, orange red, blue, navy, lemon yellow, maroon and green colours. Buy them for ₹399 apiece. Pen drives are office essentials. We use them every day, to carry soft copies of important documents, to transfer files from one computer to another. But if you want to give them out as corporate gifts then make them look a little more professional by getting them customised. You can get customised pen drives on Printvenue. 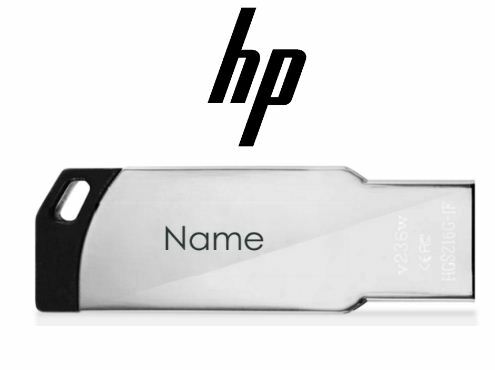 These pen drives of size 40mm x 12mm are from the brand HP. These pen drives are compatible with most Windows and Mac computers. They have a storage capacity of 16GB. You can get 4 GB, 8 GB, 32 GB and 64 GB varieties as well. The personalisation is done via laser engraving. The pen drive weighs around 7g. Prices will vary according to storage capacity. The 16 GB variant costs around ₹649. Almost everyone loves chocolates. They are known to instantly lift up the spirit and improve the mood. If you want to uplift the mood of your corporate employees then giving them a box of delicious melt-in-the-mouth chocolates is the best way to do it. Chococraft has customised chocolate boxes for corporates. They have logo printed chocolates and branded gift boxes which come with a message or a greeting. You can get boxes with 2, 4, 6, 9, 12 and 18 customised chocolates. A box of 2 chocolates will cost around ₹395. Ordering 10 boxes will cost you less. Around ₹1,900. Candies without logos cost around ₹1,450 for 10 boxes. Each candy comes wrapped in butter paper to keep them from getting damaged and to retain the shape even in hot weather. Pens are another popular choice for corporate gifting. Customised pens help establish brand logo. 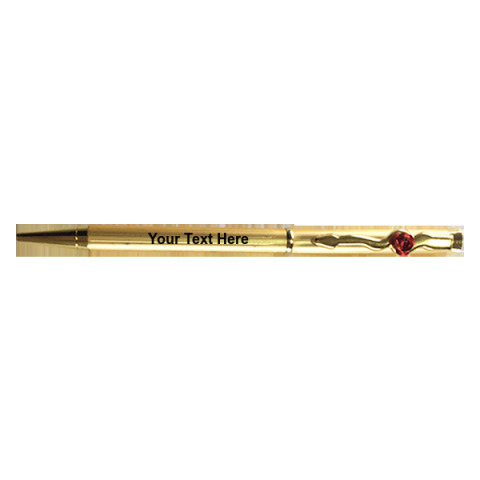 Get this customised golden ball pen with a rose on the nib from printland.in, which is not just a pretty accessory but also pretty useful. This pen is made of metal and the customisation is done by laser printing. You can buy a single pen for ₹99. You can get 5-10 pens at a discount of 4% at ₹95 each. Get a discount of 9% on 11-20 pens, a discount of 10% on 21-50 pens and a discount of 14% on quantities of 51 and above. Therefore, it would be more economical to order in bulk. You can get a variety of pens customised here. There are gel pens, pens with an attached stylus and also old fashioned in pens. 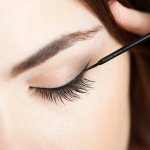 You will also get brands like Parker. Prices vary according to the brand and the kind of pen that you choose. 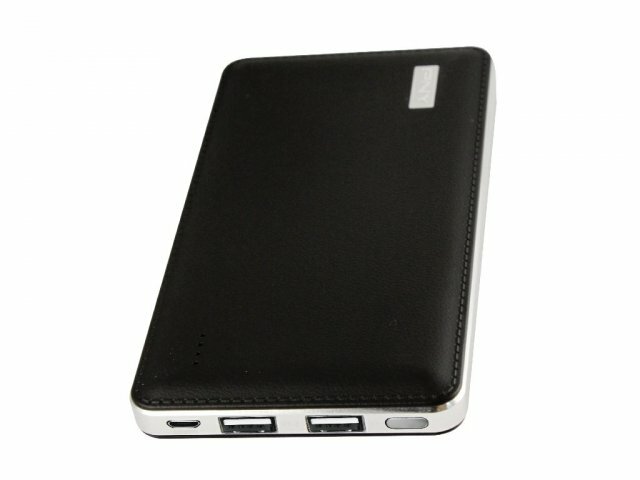 When the workload is such that you have to work on the go, you need a good power bank for that. To make the power banks appropriate for corporate gifting, get them customised. Therefore an engraved power bank would make a great corporate gift. Get this engraved portable power bank from Intex. You can get it customised with your name or text. It has a capacity of 8000mAH output to device, 5 volt 1 amp/2.1 amp (USB ports), input to power bank 5 volts, 1.5 amp (micro USB), 3 universal USB ports, digital led battery level display. It has a white leather finish and inbuilt torch. Weighing just 260gm, it’s super light and portable. Buy it from printvenue.com. Laptop bags are another accessory which most office-goers use. Having a good laptop bag is necessary, especially if your commute route is long. Laptop bags are built in a way as to protect a computer from scratches and bumps while travelling. But did you know that you could get customised ones? Vistaprint has a variety of customised laptop bags for you to choose from. The website allows you to upload your own designs and also to choose your own text. 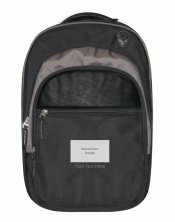 The bags come with multiple pockets and compartments. They are made of hardy canvas. Buy each bag for ₹1,000 each. 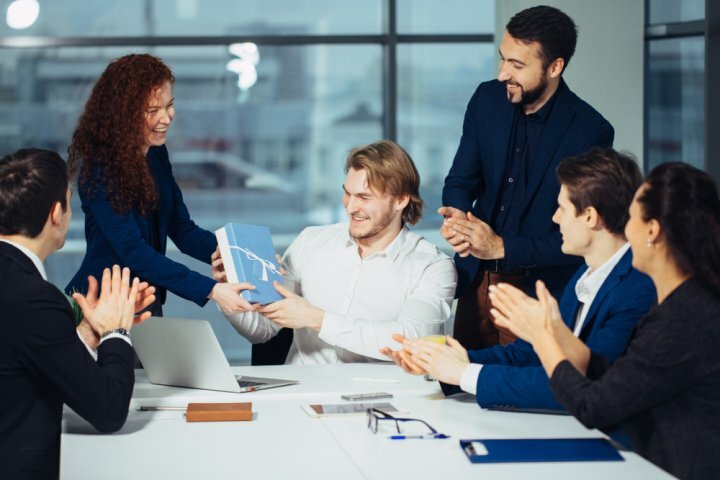 If there is one gift that is readily available, liked by everyone and also very useful, it is a corporate gift set containing a variety of office use items. You can get a variety of corporate gift sets online. Each containing two to four items which are of great use to the daily office goer. 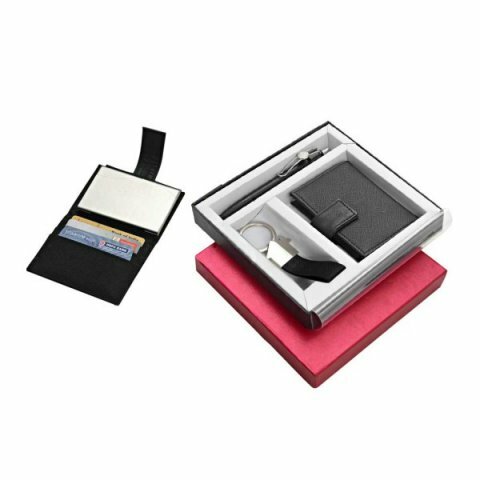 The gift contains a PU strip keychain, 3 in 1 wallet for cash, cards and visiting cards and metal finish pen. These items of daily use are always in great need and can be used by absolutely anybody. You can buy this useful set for ₹280 from businessgifts.in. There is no better way to begin a new year in office than to gift everyone calendars. For corporate gifting, calendars with photos of things like animals, birds, beautiful monuments etc. along with the company logo would make the perfect gift. Vistaprint has mini wall calendars, classic wall calendars and large wall calendars which can be customised. You can also get desk calendars, poster calendars, calendar notebooks, magnetic calendars, pocket calendars and folded card calendars. 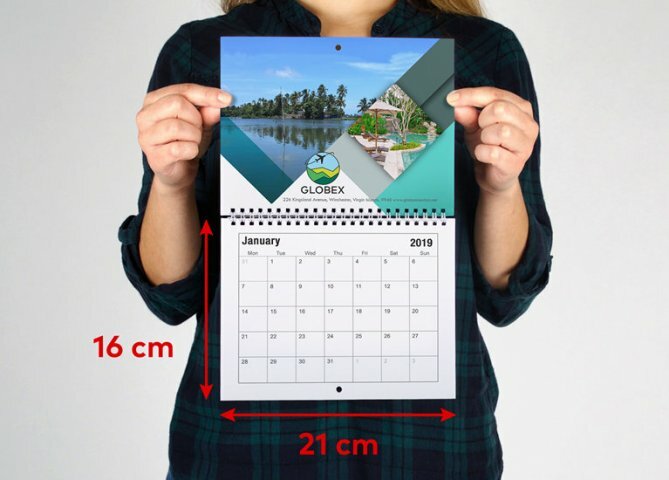 The price for desk calendars start at ₹180, wall calendars and poster calendars at start ₹200, notebooks start at ₹225, magnetic calendars at ₹300, pocket calendars starting at ₹150 and folded visiting cards at ₹575. You can put the company logo, custom images and text on any of these products. For corporate presentations and functions gifting plaques, plates or trophies are quite a good idea. Get this SS winner cup desk trophy with a stand (in gift box) trophy from businessgifts.in. 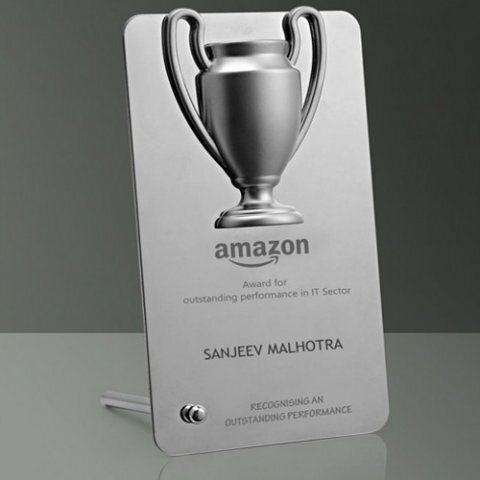 This trophy measuring 6cm is made of stainless steel and comes in a steel box. You can also get customised trophies, plaques, medals from Trophykart.in. They have a large collection of presentation items in various price ranges. You have medals staring from around ₹120. There are framed certificates as well. Prices start at ₹414. Corporate presentations are events where gifts are distributed among employees, guests and delegates. But the choice of gifts depends on the occasion. 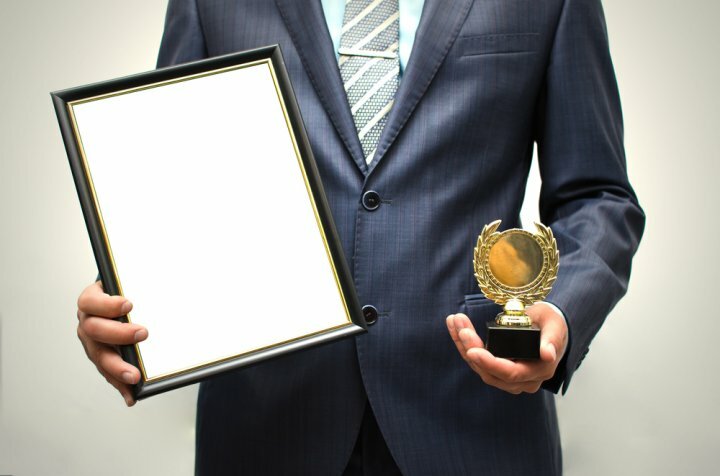 There might be a religious ceremony conducted at the office or an award ceremony to appreciate the efforts of individual employees. Sometimes there are dinners or lunches conducted for special guests or felicitation ceremonies. Buy the gifts in accordance with these factors. For example, for a puja ceremony, boxes of Indian sweets, or offerings would be the best gifts. If it’s a religious festival that is being celebrated like Diwali, then boxes of painted lamps or diyas can also be gifted. For award ceremonies, trophies, plaques framed certificates, etc. would make appropriate gifts. For dinners, lunches or product launches, goody bags filled with company logo engraved merchandise would be a good choice. This is because you would want your guests to remember the brand and this stands true especially in the case of product launches. Creating a brand identity is necessary in this case and that can only be done if you educate people about the look and feel of the brand. Corporate Gifting Has Never Been Easier! 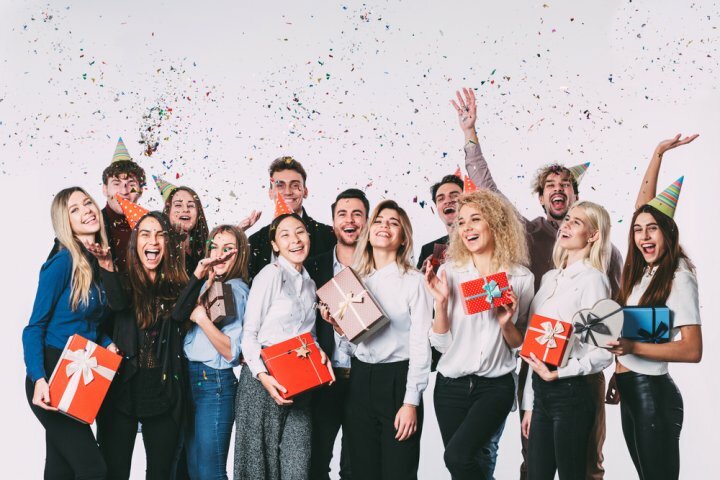 With a lot of websites offering customised merchandise, it has become very easy to plan and give away gifts that would be appropriate and also loved by employees. Only thing that needs to be taken care of is that you should always consider the occasion for which you're gifting. Everything else will then fall in place.